UWM has a rich history of educating students who have gone on to pursue careers of significance and importance. 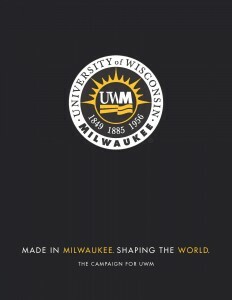 Since its founding in 1956, UWM has produced 175,000 graduates. Of these, over 100,000 live in our state and nearly 80,000 live and work in our region. From CEOs leading local companies to teachers in Milwaukee Public School classrooms, UWM educates our workforce and produces qualified leaders who take on the issues of today and tomorrow. This decade, UWM will graduate over 2,400 engineers, 5,000 educators, 5,600 healthcare and public health professionals, 4,000 scientists, 2,500 creative artists, and 10,000 business managers and leaders. Over the past decade public higher education has become far less achievable. In 2000 a college education was by many standards affordable. A hardworking student could earn enough with a summer job to cover 66% of tuition. That same summer job in 2014 only covers 39% of tuition. Unfortunately, due to many factors, including declining state support for public higher education, the average young UWM alum graduates with $32,577 in loans. As the region’s premier academic research institution, UWM seeks to enroll and support advanced students with ambitions for graduate school and research. To attract the best and brightest students, while ensuring an affordable education to low-income and first generation students, UWM must increase its level of scholarship support across UWM’s 14 schools, colleges, and academic units. UWM offers a scholarship giving opportunity to meet every situation. Endowed scholarships provide perpetual gifts, and may be named to honor the donor or someone else of his/her choosing. 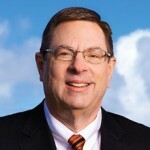 The UWM Foundation invests the endowment, and annually awards a percentage for the scholarship. With time, the endowment grows, and so does the scholarship value. Endowments may be created with payments up to five years, or with an estate gift. Expendable scholarships provide immediate support. UWM disburses all of the scholarship funds each year, and donors may renew their gifts with ongoing commitments. Discuss your options with a member of our development staff. To further discuss scholarship giving opportunities, please contact a member of our development staff.